Meta-learning for model selection, as reported in the symbolic machine learning community, can be described as follows. First, it is cast as a purely data-driven predictive task. Second, it typically relies on a mapping of dataset characteristics to some measure of generalization performance (e.g., error). Third, it tends to ignore the role of algorithm parameters by relying mostly on default settings. This paper describes a case-based system for model selection which combines knowledge and data in selecting a (set of) algorithm(s) to recommend for a given task. 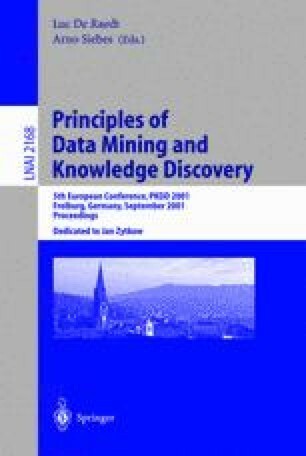 The knowledge consists mainly of the similarity measures used to retrieve records of past learning experiences as well as profiles of learning algorithms incorporated into the conceptual meta-model. In addition to the usual dataset characteristics and error rates, the case base includes objects describing the evaluation strategy and the learner parameters used. These have two major roles: they ensure valid and meaningful comparisons between independently reported findings, and they facilitate replication of past experiments. Finally, the case-based meta-learner can be used not only as a predictive tool but also as an exploratory tool for gaining further insight into previously tested algorithms and datasets. MetaL Consortium. Project Homepage. http://www.metal-kdd.org/.